First I played a handful of well-known songs associated with various well-known companies and TV shows. Most of the children were able to name them immediately, among them Disney, Apple Computer, and the signature theme music from Spongebob Squarepants and NBC. Now it was time for the smell test. The first fragrance that floated out was (and will always be) one of the most evocative aromas in the world. “Oh, I know that smell,” one said. “Every kid knows that smell,” another broke in. They all got it: Play-Doh! The next two fragrances? Crayola crayons and Johnson’s Baby Powder. The children identified those, too. Next, we graduated to a brand “collage board,” where only parts or fragments of companies’ logos or symbols were visible. Still, the kids were able to identify most if not all of the brands, from Kellogg’s to Pepsi-Cola to MTV to Nike. Some, to my surprise, were even able to recognize the logos of Gucci and Tiffany’s. After scanning a handful of logos, I brought out a bunch of products from high-end designers, popular department stores, and even some generic clothing I’d picked up from street vendors. Now, blue jeans are a not uncomplicated item for most fashion-and brand-obsessed middle-schoolers. One of the girls—Olivia—cradled a pair of jeans in her lap. “These are from Abercrombie!” she announced happily. “Because of their smell,” Olivia replied. She then proceeded to inhale the sweet (some might say sickly sweet) fragrance of the Abercrombie & Fitch jeans she was holding. What Olivia was holding looked like any other pair of blue jeans. They could have come from Target. They could have come from Macy’s. They could have come from a factory outlet anywhere in America. But this middle-school student had identified those jeans without blinking for one reason only: their unmistakable aroma. As strange and intriguing as Olivia’s brand preference might sound, my appearance on the Today show couldn’t help but remind me of the first worldwide sensory branding research project I ever carried out, which concluded in 2005. It was a five-year mission involving hundreds of researchers and thousands of consumers across four continents. Our goal was to understand the rationale behind behavior like Olivia’s—and provide a road map for consumers to understand why they were drawn to a product, whether it was an iPod, a jar of Nescafé coffee, or even a simple breakfast cereal. Olivia, after all, was a living, breathing example of what marketers aspire to when they create a brand. I’ve long wondered: What is it that makes a child (or for that matter, an adult) fall head over heels for a brand like Apple or Kellogg’s? What components of the brand form such a magical, magnetic, long-lasting connection? Does an obsessive belief in a brand ever wilt into disappointment or even boredom? That is why in 2005’s Project Brand Sense, my team and I went out and asked all kinds of questions of people who have strong affinities for various brands—in some cases, you might even call them love affairs. They willingly, and generously, shared their passions and insights—invaluable information that led me to conclude that if products and advertising want to survive another century, they’ll need to change direction entirely. Yet another ad plastered on a billboard in Times Square simply won’t do the trick. An entirely new—andsensory—vision, one that appeals to our emotions, is what’s required. I realized then, as I do now, that a brand has to transform itself into a sensory experience that goes far beyond what we see. I also realized that more than anyone on the planet, children seem to bond most profoundly with brands that are truly sensory—that involve sound, touch, smell, and feel. This may not come as a shock when you consider that a typical child’s senses are approximately 200 percent more potent than an adult’s. In fact, when a new mother first cradles an infant, she probably has no idea that a newborn’s sense of smell is more than 300 percent greater than her own. Call it nature’s ingenious way of securing a permanent bond between mother and child. The first piece of “Sensational” Royal Mail sent out was a personalized letter inscribed on a slab of chocolate—you read that right. Who can resist chocolate—the smooth touch, the smell that makes us salivate, the cracking sound as you break the bar in two, and last but not least, the taste? Praised as being innovative and eye-catching, the overall response to our Royal Mail chocolate mailing defied all expectations. Three quarters of all its recipients felt it demonstrated how direct mail could engage all five senses, but they also took some action as a result of our mailing experiment, action, I should emphasize, that went over and beyond eating the chocolate letter. Quite simply, they started sending out letters again! But we wanted to confirm our findings scientifically as well for media planners and advertisers. Using neuroscience and the most advanced brain-scanning technique available today—the fMRI—global research institute Millward Brown studied the brains of twenty men and women in the UK to find out whether the “Royal Mail experiment” had created true emotional engagement, that is to say, a potent emotional response, in consumers. They wanted to see if volunteers’ brains responded at all differently to material via direct mail than they did to comparable information shown them on a computer screen. For any brand, ad, or entreaty to work (and remain memorable), it has to make its way somehow into the overstuffed workspace that is the human brain. As you might imagine, our brains are adept at filtering out irrelevant information. Emotion gets our attention through our senses—which then influence our decision-making processes. Brands that create an emotional connection to consumers are much stronger than those that don’t—it’s as simple (and complicated) as that. Millward Brown’s scientific research study confirmed that direct mail—namely, those chocolate-laden entreaties—was far more “real” to the brain, and had a definite “place” in consumers’ perceptions. Moreover, direct mail was easier for the volunteers’ brains to process, more likely than not to generate emotion, and also able to promote more fluent decision making. In short, the Royal Mail experiment proved conclusively that direct mail was able to penetrate the overcrowded closet that is our mental workspace—a spectacular feat, considering that the majority of us live in an increasingly digital environment. Another aspect of the new branding I gleaned from my experiences with Olivia and Royal Mail is that a brand should attempt to create a following akin to the obsessive adoration a sports fan feels or even, in some respects, the faith of a religious congregation. Without taking comparisons to religion too far, we can see the relevance of spirituality for certain aspects of sensory branding. The most memorable, savored brands of the future will be those that not only anchor themselves in tradition, but also adopt religious characteristics as they simultaneously make full, integrated use of sensory branding—period. Each fully integrated brand will boast its own identity, one that’s expressed in its every message, shape, symbol, ritual, and tradition—just as sports teams and religion do. Evoking something resembling religious zeal, however, is only one objective of the next generation of products and advertising. In order to survive, brands will have to incorporate a brand “platform” (meaning a set of associations a consumer makes with a product, or company) that fully unites the five senses. Witness Abercrombie! We live in a landscape where consumers desperately need something to believe in. Ironic though it may sound, as religions struggle to find new constituents, consumers in contrast are desperately seeking something else. Sadly (some might say), more than ever that “something else” is, well, brands—a phenomenon you would appreciate even more if you visited China, where the power of “brand religion” often seems even stronger than its thousand-year-old faith-based counterparts. The foundation of this book is a direct result of an extensive research project that sought to investigate the role each of our five senses plays in creating a passionate love affair between a consumer and a brand. Our study also sought to determine to what extent a religious factor—faith, belief, belonging, and community—might serve to guide the future of branding. At first glance, religion and brands might seem almost insultingly far apart. But are they really? Visit any church and even before you enter the building, the first thing you’ll notice is a full-frontal sensory assault, whether it’s the noontime bells pealing across Zurich, Switzerland, or the sounds of prayer overwhelming Istanbul. Inside a church, your senses will continue to be stirred and awakened, whether it’s from the unmistakable fragrance of incense in the air, or the musty odor of the pews. No matter where you live, or what faith you practice, religion sends a series of clear, unmistakable signals via your senses—even if you never glimpse a cross, an altar, a stained glass window, or a yarmulke. Our oldest religions have been around for roughly 3,500 years. Our oldest brands? One hundred and fifty years. That is why I believe that it may be time for brands to borrow respectfully from religion—and learn a few crucial lessons about belief and loyalty. Moreover, we decided that our Brand Sense study would have relevance only if conducted globally. Our multicultural research team involved people drawn from twenty-four countries, and speaking eighteen languages. Additionally, our global research study had another objective. We wanted to identify growing trends, and explore the evolution of local brands to help us create a solid foundation for the implementation of our fully integrated brand theory, in order for it to adapt to any market regardless of cultural differences and preferences. I decided to team up with Millward Brown, whose extensive brand knowledge made them an obvious partner for a project of this caliber. 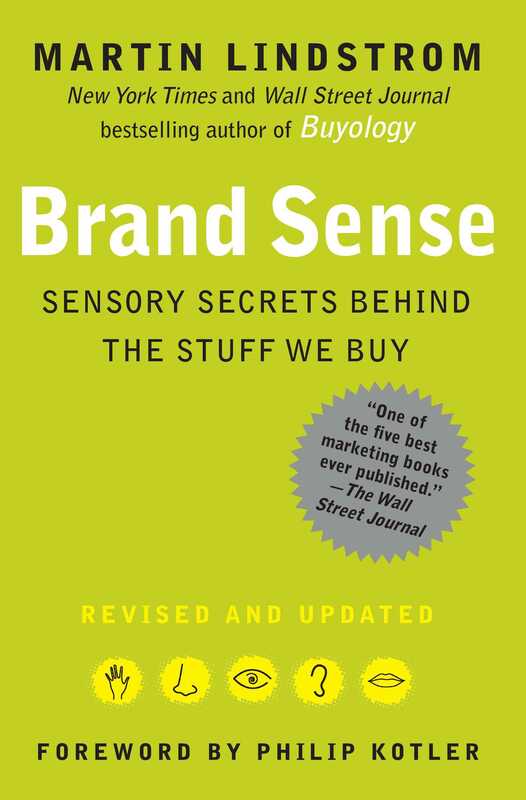 The idea—which we dubbed “Brand Sense“—took seed in 1999 and eventually developed into a brand research project that involved some six hundred researchers across the globe. Let me be frank—no one had ever carried out research on sensory perception and religious comparisons to branding before, and we tried our best to remain sensitive to their differences in character, profundity, and ultimate truth. My publisher was seriously concerned, and not unreasonably, either, as I began this book. I went so far as to conduct a series of sessions across the United States to test out my theories in front of live audiences. In particular, I recall one speaking engagement in Washington, D.C., where I showed a photograph of the pope on one side of the screen, and Ronald McDonald on the other. Being a native of Denmark, where traditional faith barely exists, I learned quickly (extremely quickly) that many people elsewhere are highly sensitive about the topic of religion. A classic live-and-learn experience. Project Brand Sense is therefore (dare I say it?) a pioneering study. We conducted focus groups in thirteen countries, selecting each country on the basis of its market size, brand representation, general product innovations, religious representation, state of brand maturity, not to mention the country’s sensory history. We swiftly learned that even though a brand is supposedly global, the way local cultures perceive it can be extremely varied. The Brand Sense study therefore is a composite of distinct and different markets. For instance, we selected Japan, India, and Thailand because all three countries have a long-standing history of integrating five senses within their culture and traditions. Some of Japan’s most innovative brands often make use of the five senses. Now, if you’re ever in a hurry, don’t expect a grab-and-go experience if you’re visiting a Japanese retail store. But there’s a fantastic upside. Your transaction may not be speedy, but you’ll get to witness a truly astonishing, sometimes half-hour-long, wrapping ritual, and your purchase will typically end up resembling an exquisitely beribboned work of art. Japan, after all, is the nation where brands like Marlboro found out that placing a little dotted line in the plastic foil enveloping its iconic cigarette packs transformed sales from sluggish to impressive. Why, you might ask? Because the Japanese hate the sensation of unwrapping a box of cigarettes where the foil tears up or shreds all over the box. By installing a minuscule touch such as a simple dotted line, consumers could easily open the pack without desecrating the pack’s graphics. That simple tweak positively transformed Marlboro’s sales in a matter of weeks. The rich design heritage of the Scandinavian countries has made visual identity essential to their communication. It’s one region in the world where a designer’s hand is evident everywhere—from condoms for women to pill bottle openers. The United States and Britain, with their huge market size and diverse media, present the biggest challenge in building and maintaining brands. We also included countries like Chile, Mexico, Poland, and Spain because of their strong religious and devotional traditions, or because of their long-standing history with music and food. But no matter where you live, think about it: Our values, our feelings, our emotions, our memories—they’re all stored in our brains. Compare this human filing system to an old-fashioned video recorder, which records on two separate tracks, one for image, one for sound. Human beings have at least five tracks—image, sound, smell, taste, and touch. These tracks contain more data than one can imagine and they have direct, immediate bearing on our emotional life. They can fast-forward or rewind at will, even linger on a precise spot. The more tracks on which you or I can record an experience, the better we remember it. For this reason, I believe that over the next decade we’ll witness seismic shifts in the way we as consumers perceive brands. A comparison that springs to mind is the transition from black-and-white to color television with mono sound, to high-definition fifty-two-inch Magnolia home theaters with all the bells and whistles. So fasten your seat belts. You’re about to embark on a sensory journey—which I hope will ensure that you’ll never again see (or smell) a brand quite the same way again.